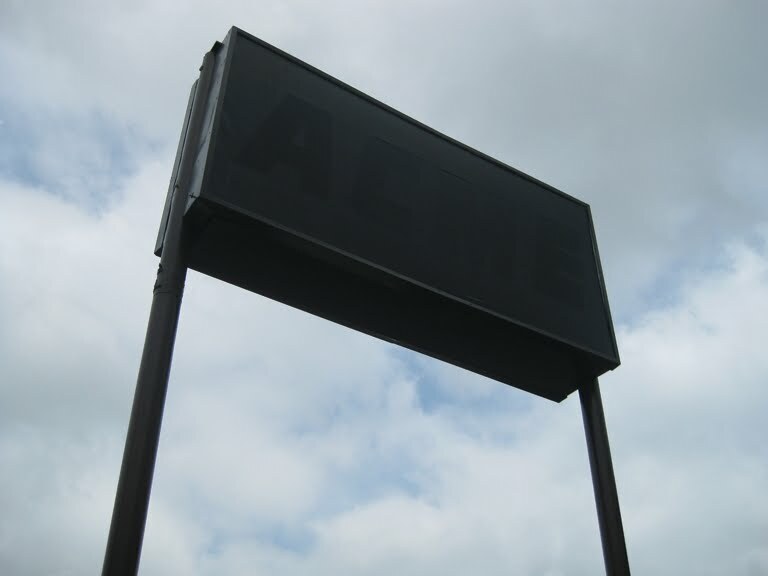 As you may have noticed, it's been a slow month here at Acme Style. Turned out that I needed a little break from everything Acme after crafting the massive Wyoming Valley collection in November. I also need to head out for another road trip but haven't had a chance to do that this month. But trust me... I have tons of new posts in the works. 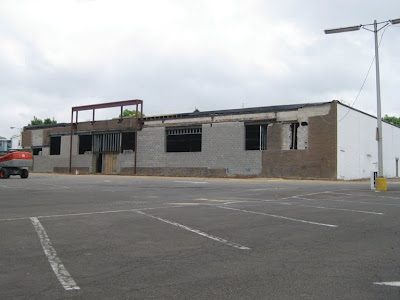 Lots of abandoned Acmes, former Acmes and Bonus Stores to come in 2010. So until then, this blog will be on a bit of a break. Please check back in January for new posts! Until then... I wish all of my Acme Style readers a Merry Christmas and Happy New Year! Update to a former Acme Style Bonus Store! 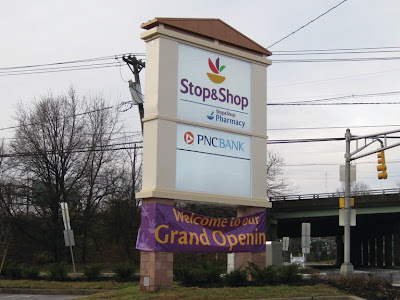 The brand-new Stop and Shop in Clifton, New Jersey. The old store was torn down and replaced with an entirely new building. It had closed back in February and reopened in this November. 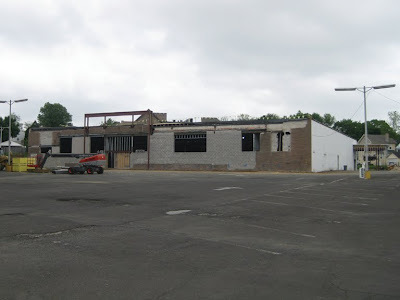 You can take a look at the "before" pictures by clicking here. The new sign stands on the same spot as the old one. 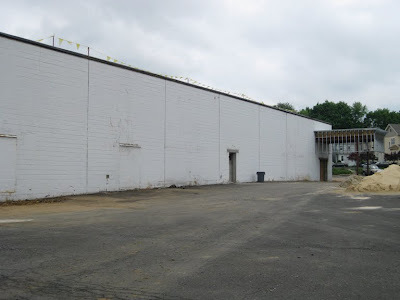 The back of the store which you see when come off of Route 3. 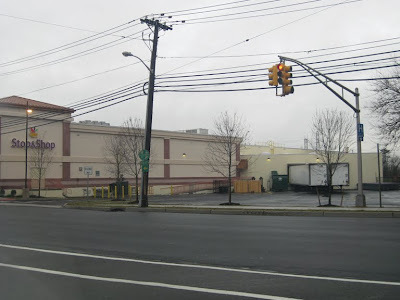 This is the area where the Sam Goody once stood. 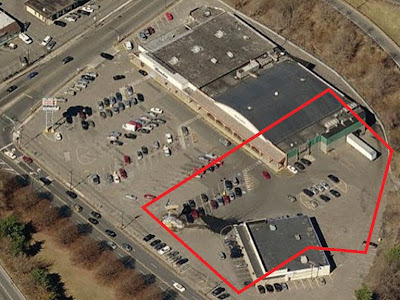 The red line is an approximation of where the new building stands. And now for some interior shots... taken with my cell phone so the quality isn't great. For the record, Stop and Shop is not one of my favorite places. The new decor and branding they have rolled out recently doesn't make me want to shop there any more than before. I find their look to be overly generic and bland. The use of the fruit bowl logo everywhere is a little too similar to Target's bulls-eye, yet makes much less sense. I preferred the look and atmosphere of the old store which retained much of it's look from the former Grand Union. 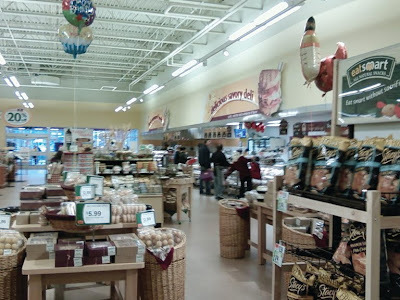 Meals to go, Deli and Bakery line the left side of the store. Produce cases are to the left. I took a picture of that are but have some how lost it. I am standing in the health food department which is about 3 short ailes to the rear of Produce. A drab looking front end. 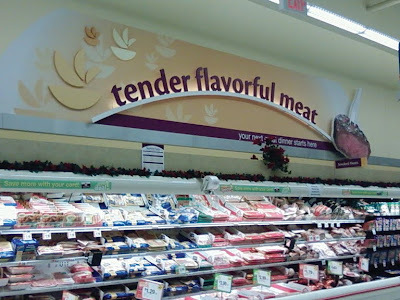 The department signage is the same color scheme and look throughout the store. The milk is along the back wall. 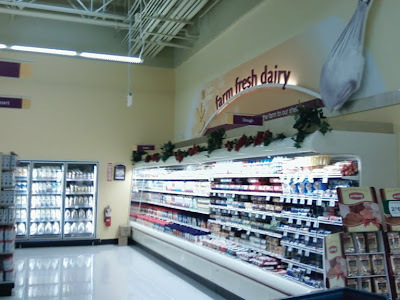 Frozen Food cases are to the left of this picture. 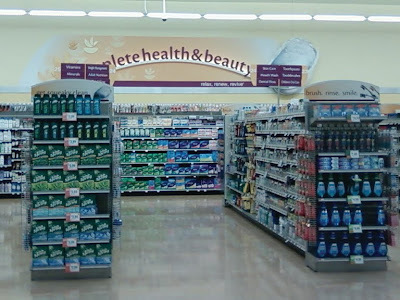 Health and Beauty is in the front right-hand corner of the store along with the Pharmacy. 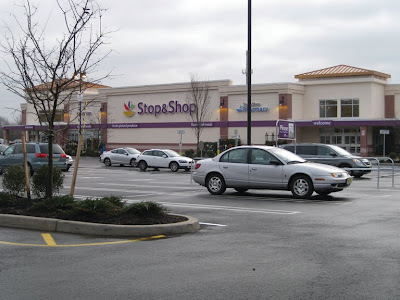 This is about the most exciting thing that separates Stop and Shop from it's competitors. Portable self scanners. 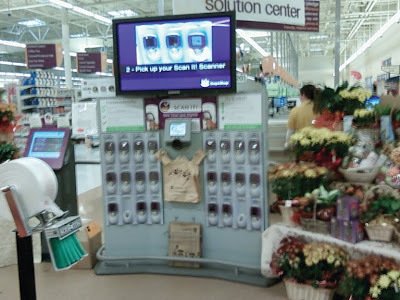 You scan each item and put it right in the bag. Sounds like fun but still not enough of a reason to shop here. The Ambler Acme closed in January of 2009. It was one of 4 stores to close earlier this year after SuperValu had announced record losses. 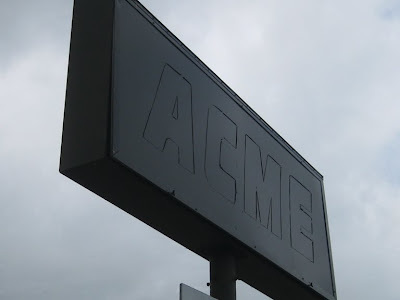 I don't have the full story on this store although my suspicion is that Acme may have pulled the plug after CVS expressed interest in the location. There have been several Acme closings this year that have occurred for reasons other than profitability. Not sure of the interior decor at this location. If you look closely you can see the produce lights which were brought in during the Checkerboard Arch decor-upgrade in the early to mid 90's. I have read reviews online that said the interior of this store was in bad shape. Smelly even. One person said the store was in desperate need of TLC. An interesting note about the front of the store... all of the windows remained intact til the very end. 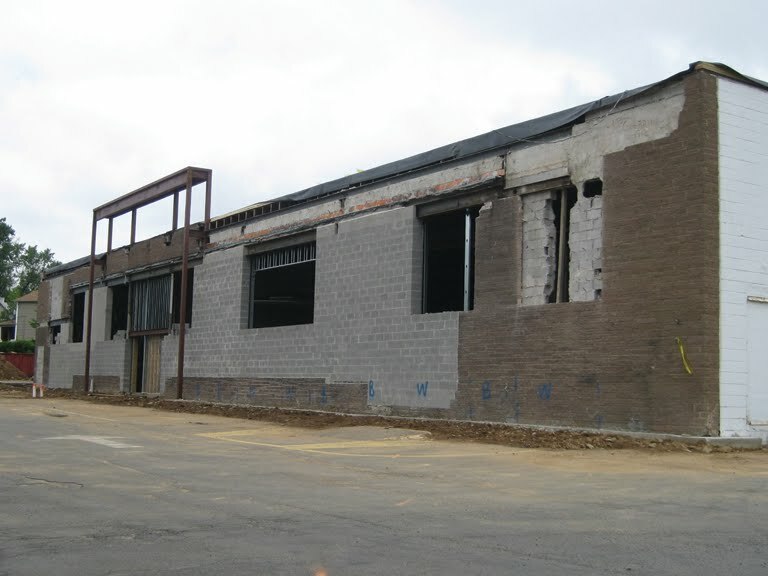 Most store of this style had the windows to the right removed and covered over to increase shelving space inside. This was commonly done during the remodels of the 70's. The only other store I have seen of this type with the windows intact is the abandoned Washington, New Jersey store. Click here to take a look. 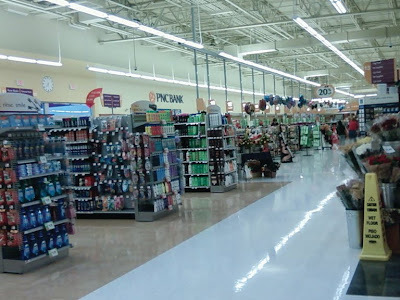 The Washington location has the Checkerboard Arch decor and you can see the produce lights there that hard to see here. Thanks to Josh for allowing Acme Style use of his pictures. 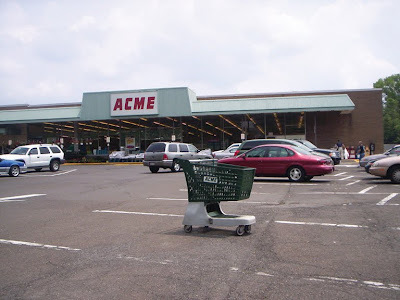 He has photographed nearly every Acme that has ever existed. You can check out his flickr photostream by clicking here. And his Acme collection by clicking here. I had hoped to make it to this store before Acme closed and then before CVS got it hands on it. Obviously I didn't make it. 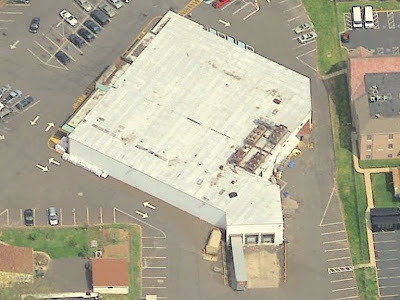 This building looks to be a larger version of this style of Acme that was commonly built in the 50's and 60's. The right side of the store with the old produce recieving doors covered over. This was frequently done to create the produce alcove years after the original construction. Notice there are no break room windows along the top which was customary in this type of Acme building. The break room and employee bathrooms were moved to the back of the store as these late 50's styled buildings evolved. I photographed this store way back in the spring... wasn't as adventurous as I am now with taking pictures of every possible angle of the buildings. 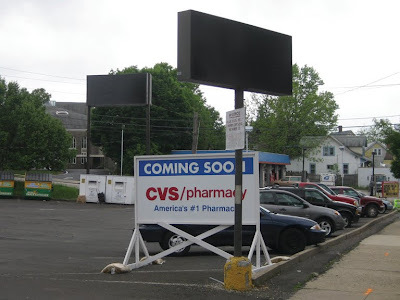 You can see the CVS drive-up window under construction at the back corner. It looks as though CVS is taking over the entire building which would made for an unusually large CVS. These days... bigger is always better. 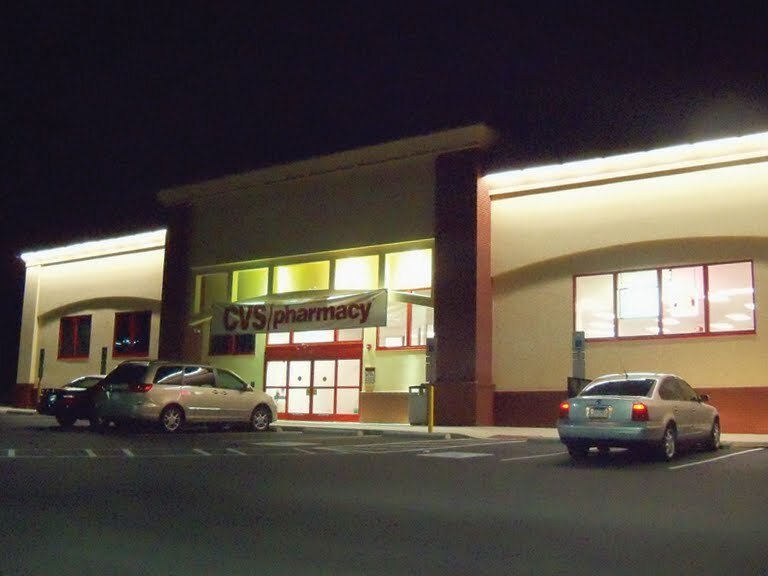 CVS has arrived. The store opened with work still needing to be done. 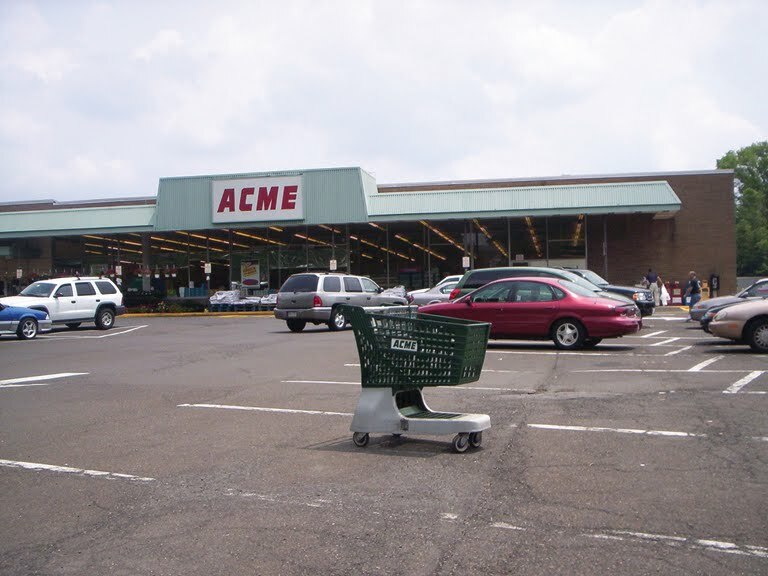 The wrap around awning was a classic feature in these old Acmes occurring almost exclusively to the left side of the store. Produce always over on the right side. 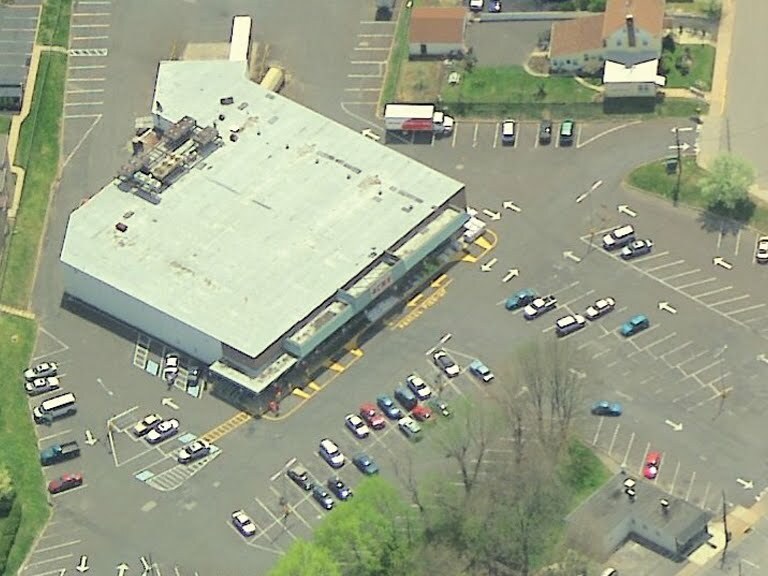 I'm always amazed to see these older Acmes crammed into the most unlikely of locations. Houses within feet of the store. 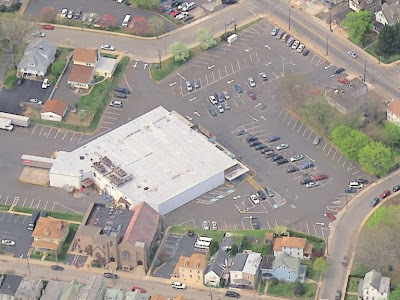 The back corner cut at an angle to leave some space between the Acme and a church. These loading docks were most likely added long after the original construction of this store.